A new Dracoslayer card and the monster from the art of Metalphosis Combination. Cannot be Normal Summoned/Set. Must be Special Summoned (from your hand) by Tributing 2 monsters you control (1 “Dracoslayer” and 1 “Dracoverlord”), and cannot be Special Summoned in other ways. (1) Once per turn, during either player’s turn, when a card or effect is activated: You can negate that activation. 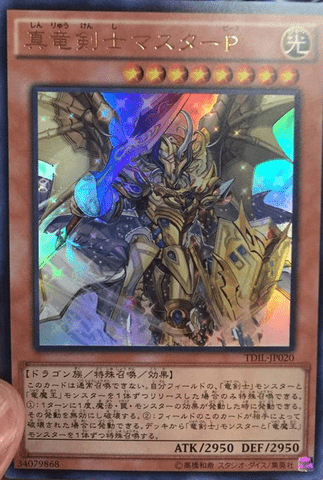 (2) If this card on the field is destroyed by your opponent’s card (by battle or card effect): You can Special Summon 1 “Dracoslayer” monster and 1 “Dracoverlord” monster from your Deck. You can only use the (1) and (2) effects of “Agnimazd Vanisher, the true Dracoemperor” once per turn, each. (1) During your Main Phase: You can destroy a total of 2 monsters in your hand and/or face-up on your field, including a FIRE monster, and if you do, Special Summon this card from your hand, and if you destroyed 2 FIRE monsters this way, banish 1 monster your opponent controls or in their Graveyard. (2) If this card is destroyed by a card effect: You can add 1 Wyrm-Type monster from your Graveyard to your hand, except a FIRE monster.